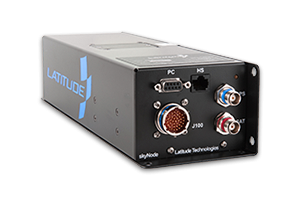 The Latitude SkyNode S200-012 is a robust Iridium-based satcom system that meets the requirements as a Long-Range Communications System (LRCS) for Air Traffic Services (ATS) safety services communication. Designed according to standards set in Satellite Voice Guidance Material (SVGM) and FAA AC20-150B, the SkyNode for Safety Services carries TSO-C159b certification. Improve operator safety and convenience while providing secure uninterrupted global communication. Designed according to some of the toughest environmental standards in the industry, the SkyNode for Safety Services functions as an ARINC-739 sub-system to interface to Multi-function Control and Display Units (MCDUs). An ideal certified solution for a Long Range Communications System, ensure your pilots are always connected to your Operational Control Centre and Air Traffic Services no matter the flight plan. Approved to TSO-C159b “Next Generation Satellite Systems (NGSS) equipment” the SkyNode for Safety Services is recognized by Transport Canada, FAA and EASA. Utilizing the Iridium satellite network, receive uninterrupted global pole-to-pole coverage and meet the airworthiness fitment guidelines of AC 20-150B for SATVOICE equipment for Long Range Communication Systems (LRCS). The SkyNode SATVOICE system provides operators with uninterrupted worldwide coverage and clear voice communications that are not subject to radio fading and interference typical of HF systems. At just 1.70 lbs., the S200-012 connects to an aircraft’s communication system and supports dual MCDU interfaces, or Latitude’s own low-profile RC-6000A-S CDU display and dialer. Legacy aircraft without ARINC-739 MCDUs may optionally be configured to interface to a single Control Display Unit (CDU) via RS-232. The SATVOICE operational principals of caller authentication, priority and pre-emption are important in today’s busy airspace and security environment. The SkyNode for Safety Services supports the set-up and initiation of dialing, as well as ATS priority calling and direct override of calls with lesser urgency. Optimize ATC communication as mandated by various regulatory agencies, today.